Our recycling sorting equipment and recycling machines have the keys to success; high volume output, high purity sorting and intelligent motor control systems available. 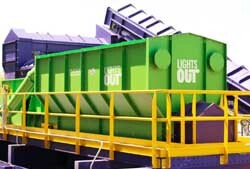 We provide various recycling sorting equipment for all types of material recovery facilities, from the tipping floor to the bale storage area and everything in between. 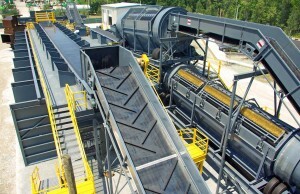 Our state-of- art sorting equipment line includes disc screens, trommels, conveyor systems, air classifiers, metering equipment, optical sorters, glass crushers, magnetic separation equipment, and an extensive line of balers to tie it all together. Read more about the diversity of recycling equipment today here. Contact us today to discuss your plans for retrofitting your existing facility or if you are planning to begin operation of a new recovery system- we have the right recycling sorting equipment for you!